Today I want to write about using the class ClassBuild. A collegue of mine recently used this class for extending Axapta's IDE, so I decided you all should know about this class too. 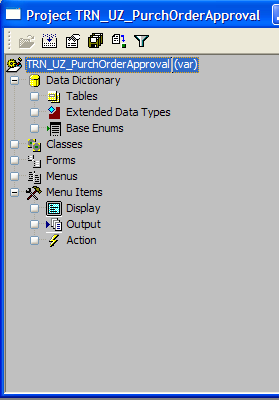 In line 6 we create a new Object of class ClassBuild. Into the constructor we pass the name of the class we want to create and an optional paramter, which controls the execution of code in case the class already exists in the AOT. After the execution of this line the class already exists. 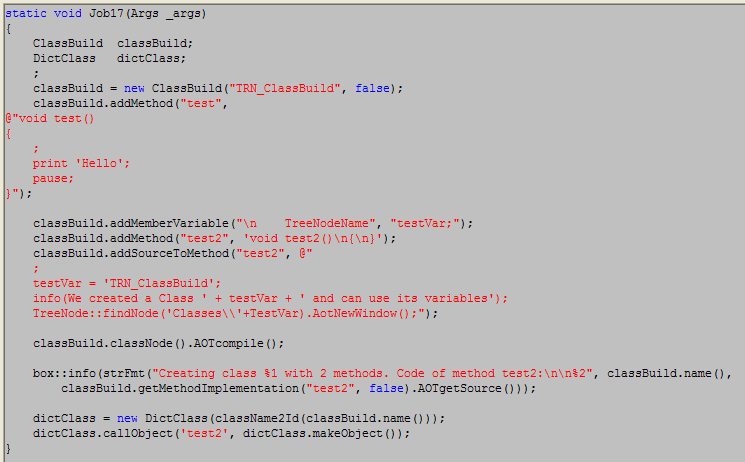 After that we add a method test() to our class and set the source code for this method. 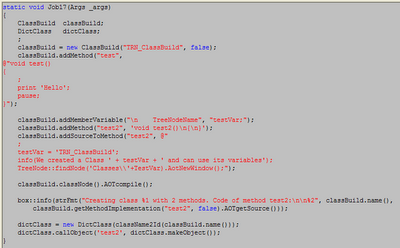 Then we add a member variable of our class, and will try using this variable in a second method we create - test2(). You can see that here I did this in 2 steps on purpose - to show the way you can use the method addSourceToMethod(). OK, now all the methods are created and we have to compile our class. For this we can use the method AotCompile() of class TreeNode, which we access through the method classNode of the created class. Now, to see how 2 other methods work, we show a message dialog with the name of the class being created and the source code of one of the methods. Then, just to show you the class works and is ready to be used, we can call one of its methods for execution. For this, we use the class DictClass and its methods, but I will not discuss it in this post. That's it. Try running the attached job and see how it works! But you have to use it with caution, because you won't be able to find this range afterwards. won't return you the range with the value "2", but the one with the value "8"
AxCreateNewProject is a nice tool to help you get started on a project - it will create a shared or a private project with specified project nodes for you and open it in a new window, so that you can start edding objects right away. Max Belugin (AxCoder) has made some upgrades to his tool - sidebar for Axapta - Sidax. 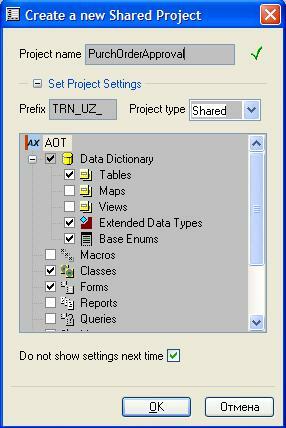 This blog will mostly be about Dynamics AX (formerly Axapta). I want to start off with a small post about Axapta Label System. I am translating a book on Axapta (MorphX IT, Steen Andreasen) into Russian language. I will tell about it in more detail in a little while, when the traslation is finished and proof-read. So, while doing the translation of an Appendix chapter, I stumbled on something I have never read about in the past. "When searching for a label using <> will narrow your search. If you want to look up the label 'Customer', it will perform faster by keying in <Customer> as only labels with the exact text 'Customer' will be found. To find all labels starting with 'Customer', you simply enter <Customer." Also, as Max Belugin pointed out to me, regular expressions are used in the search.